Duncan Larkin— Ultramarathons, or races longer than 26.2 miles, are more popular than they’ve ever been, attracting new runners in droves to an increasing number of events. These grueling races aren’t for the faint of heart , however, and require a sensible training approach as well as a significant time commitment. To help you plan for a successful experience, we’ve tapped two ultrarunning experts, Geoff Roes, 2010 Western States Endurance Run champion and one of the best 100-mile racers in history, and Bryon Powell, author of Relentless Forward Progress: A Guide To Running Ultramarathons and founder of the website iRunFar.com, to answer a few questions many first-timers may be pondering. How should a new ultrarunner get in their mileage? Singles? Doubles? Triples? What’s a good rule of thumb to use for achieving the right mileage for an ultra? Geoff Roes: I’ll focus on 100[-mile races] for this one: for the 100-mile distance I think moving time on feet is a lot more important than mileage. In preparing for your first 100, I think a good guideline is to hit a peak training phase in which you try to spend at least as many hours moving on your feet per week as you expect the race will take you. This would of course include all running hours, but can also include things like hiking, walking the dog, mowing the lawn, and even jobs where you are walking around a lot. The faster you hope/expect to run the race, the more important it is for more of these hours to come from running, but if you are aiming more for something in the 27+-hour range for 100 miles, then it becomes more important to spend longer and longer hours on your feet, and you actually don’t want too much of it to be in the form of running or it will simply be more mileage of hard impact than your body can handle. Bryon Powell: It’s fine for an ultrarunner-to-be to get some of his or her weekday miles with doubles, but it’s essential to do one’s long runs as single efforts. Splitting up a long run just doesn’t cut it. There’s no magic number when it comes to weekly mileage for ultras. An experienced runner can finish a 100 miler (and finish well) averaging 35 miles per week in the 6 months prior to the race. Run what you want to during the week—up to a point. You want to feel fresh for most of your long runs. What’s one “staple” ultra workout that runners can try out? Roes: I think if there is one workout that seems really specific to ultra running it is doing a long run with a hard push mixed somewhere in the middle. I’ve always found great results from doing a “tempo” type run but doing it with maybe 10 easy miles to begin with and 10 easy miles at the end. If you do 5 miles of tempo pace you end up with a really effective 25-mile run in which you’ve trained your body to run hard even though you’ve already been running for a couple hours. The 10 easy miles at the end does a great job of training your mind and body to keep plugging along for several miles even though you might be running out of gas in the tank. Powell: For someone looking to finish an ultra, an easy-to-moderate marathon distance run (more or less) is perfect. It’s enough to test your endocrine system and legs, but (at this effort) without crushing you for weeks. Elite ultrarunners with plenty of mileage in experience might turn this into a marathon-distance progression run on occasion. How do runners mentally prepare for their first ultra? Roes: For me it’s all about getting things really organized ahead of time so that you don’t need to over think things at the last minute. Have all of your race details ironed out several days before the race and then just try to focus on your everyday life as much as possible in the few days before the race. In this way, you avoid being too anxious at the last minute, which hopefully allows you to get good sleep and eat well in the days right before your race. I think it’s much more common for runners to spend too much time thinking about their race than it is to not spend enough time. 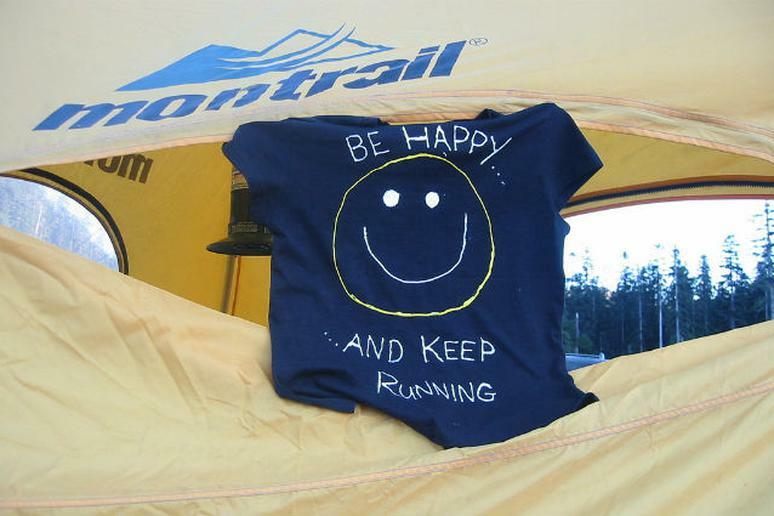 Powell: The best way to mentally prepare for your first ultra is by finding a way to enjoy it. If you’ve got a purpose or a commitment, you can always fall back on that during rough spells. Then again, if you are able to master having fun while running you can stave off or maybe avoid the low spots altogether. What are some “don’ts” that new ultrarunners should be wary of in terms of training/racing? Roes: Don’t put too much emphasis on one race (especially your first race). You are almost certain to run several more in the future. Have fun in your training and always be aware that your first ultra likely will not go exactly as planned—no reason to take it all too seriously so as to avoid being too devastated when things don’t go quite as well as you were hoping on race day. Run because you enjoy running, not exclusively to prepare for one particular race. Powell: Don’t go out as hard as you think [you should]. Go out at your planned effort and then back off another half click. Not only will that most likely be a more reasonable effort, it’ll set you up to feel far better the final third of your race when it’s far better to feel fresh, excited, and ready to go than to keep suffering more and more.